A stock DR-Z400s makes about 32 – 34 horsepower depending on who you ask and which dynometer was used. 32 HP isn’t bad but many riders want more. Fortunately, the DRZ engine responds well to mods and 40 horsepower is not particularly hard to achieve and with enough money you can reach 50 horsepower. 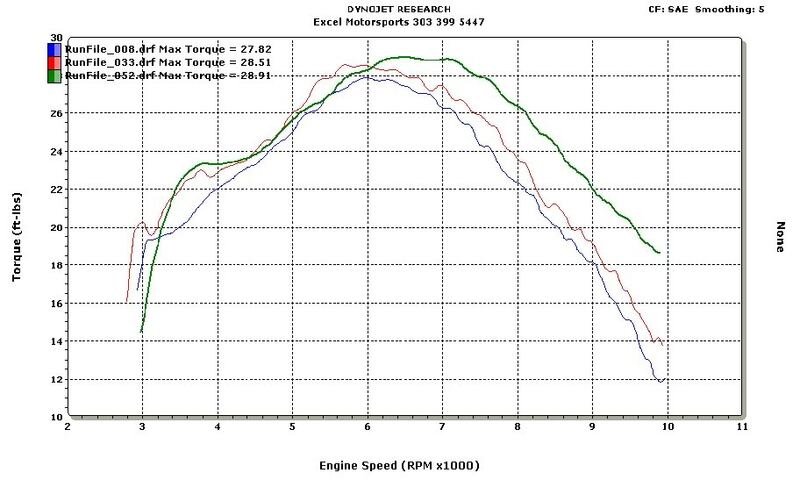 I borrowed the following dyno charts from SuperMotoJunkie. Though they were done on a SM (supermoto) model DRZ they provide an example of what the DRZ is capable of achieving. The green line includes the replacing the stock Mikuni 36mm carb with a Keihin 39mm FCR carb. The DRZ comes lean from the factory, presumably to meet emission standards. Replacing the stock exhaust system with an aftermarket unit, cutting a 3 inch x 3 inch hole in the top of the air box, and rejetting the carb make a noticeable improvement in power and responsiveness. My bike was modified with the 3×3 mod, a MRD/SSW exhaust, and a JD jet kit. Prior to the build I wanted to establish a baseline performance measure so I individually drag raced two of my friends on their DRZs. All three of us were running S model stock gearing (15/44). I was able to beat my buddy on his stock S model by about 2 bike lengths starting in 1st gear and accelerating to about 80 mph in 5th gear. I was pretty much dead-even when I raced my buddy on his E model. The ACT gearset only changes 2nd – 5th gears; 1st gear remains stock. As part of the build I changed my gearing to 14/48 (the same as stock E model gearing), in order to have a lower, more effective 1st gear for dirt riding. 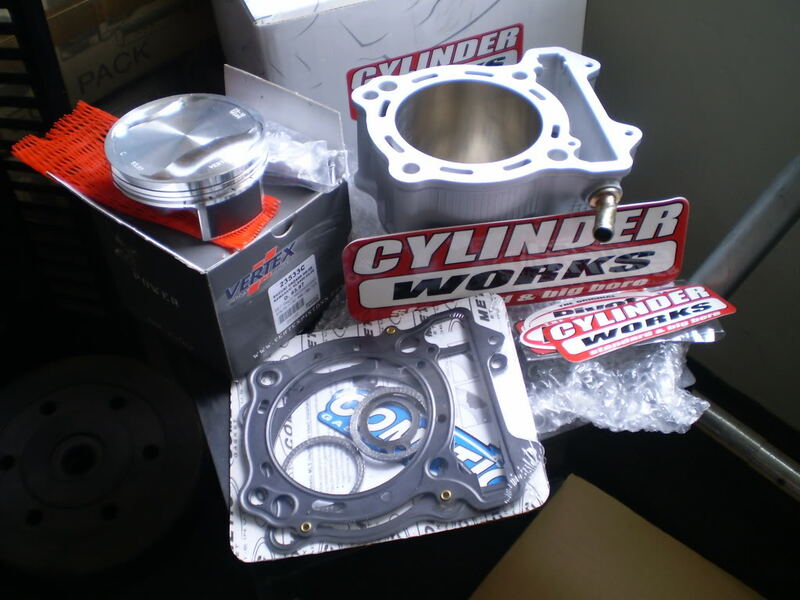 Of all the aftermarket performance mods available for the DRZ I elected to install a Cylinder Works 434cc big bore kit. The primary reason I chose the big bore kit over other mods was that the big bore kit was a simple bolt-on mod that could be done during the process of installing the ACT gears. If I found that it didn’t increase power enough then other mods, such as a new cam or FCR carb could easily be added on later. Eric Marquez did the big bore and ACT install at the same time, plus a few other preemptive mods while he had the engine apart such as new bearings and the recommended “loctite fixes“. After the build and some engine break-in, I raced my buddy with the E model again. We raced five times, switching bikes after the first couple of races. He beat me 4 out of 5 times – twice while riding his bike and twice while riding my bike. This told me two things. First, my buddy is a better drag racer than I (no surprise as he is a better overall rider than me) and second, that our bikes were equal in acceleration. 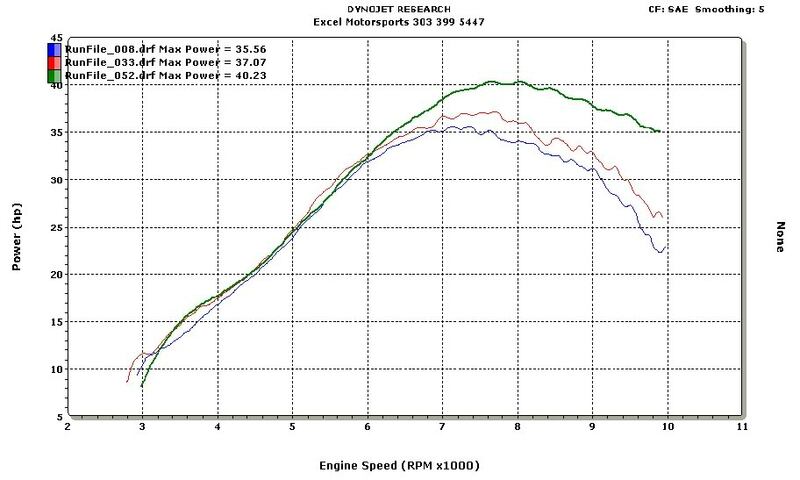 The big bore kit pretty much completely offsets the loss in acceleration from the wide ratio transmission. 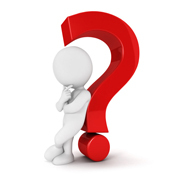 However fast your bike is before adding a big bore kit and wide ratio kit is how fast it will be after the big bore kit and wide ratio transmission is installed. Which was fine with me – I was not dissatisfied with the power of the DRZ, just the too-narrow-for-my-needs transmission.